In commemoration of tomorrow's fight. Flair is back with a new joint!!! (Alarms blazing!!!) I gotta meet the dude who puts these together LOL. It's finally here. I've been hearing a lot of Roy Jones' "I'm Back!" talk while the Trinidad camp have been pretty quiet. Could be good, could be bad. Regardless it should make for an interesting fight. I think Roy will be too strong for Tito. If the Roy of old shows up, it might be a short night for Trinidad. Roy will take this by KO in around the 8th. REYKJAVIK, Iceland -- Bobby Fischer, the reclusive chess genius who became a Cold War hero by dethroning the Soviet world champion in 1972 and later renounced his American citizenship, has died. He was 64. Fisher died in a Reykjavik hospital on Thursday, his spokesman, Gardar Sverrisson, said Friday. Icelandic media reported that he died of kidney failure after a long illness. Born in Chicago and raised in Brooklyn, N.Y., Fischer was wanted in the United States for playing a 1992 rematch against Boris Spassky in Yugoslavia in defiance of international sanctions. In 2005, he moved to Iceland, a chess-mad nation and site of his greatest triumph. I fall in love with Hip Hop again every time I see this movie. 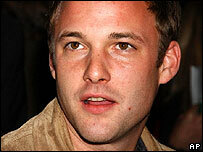 LOS ANGELES (Jan. 16) - Brad Renfro was a street-smart Tennessee schoolboy plucked from obscurity in 1993 to play the title role in "The Client." The film's success brought him instant stardom, but struggles with drugs and alcohol dogged his career. On Tuesday, he was found dead in his home. He was 25. American Idol: Let the Bafoonery Begin! Yup...they're gonna do it again. ESPN is reporting that Golden Boy is close to signing the rematch between Oscar De La Hoya & Floyd Mayweather set for September on HBO PPV. Now seriously...isn't this the most obvious sign of just wanting a quick buck? Do they really expect people to buy another $60 PPV after last May's fight? LOL. My man got the Infamous Red Rings of Death on his 360 and decides to call Customer Care. Flyweight Champ Ivan Calderon, Welterweight champ Miguel Cotto, and former Lightweight, Welterweight, and Middleweight champ Tito Trinidad. If you haven't copped one of his books and you're aspiring to be in the record industry, quit sleepin! He's got a book called "All You Need To Know About The Music Business" which has gone through several editions because of the ever so changing music biz. In the action-packed new thriller from writer/director Neil Marshall ("The Descent"), authorities brutally quarantine a country as it succumbs to fear and chaos when a virus strikes. The literal walling-off works for three decades – until the dreaded Reaper virus violently resurfaces in a major city. An elite group of specialists, captained by Eden Sinclair (Rhona Mitra), is urgently dispatched into the still-quarantined country to retrieve a cure by any means necessary. Shut off from the rest of the world, the unit must battle through a landscape that has become a waking nightmare. This Roy Jones vs Tito Trinidad fight is building up more steam than I expected. But when you actually look at the possibilities after this fight the build up is some what justified. Both fighters can possibly land a bigger fight depending on the outcome. Roy has actually come out publicly and challenged Joe Calzaghe saying he'll fly to Whales for that fight. Don't sleep on Tito Roy...That left hook can be a problem. You can definitely call this a career ending fight for both being that if either fighter loses there's no proverbial "Green Pasture" to walk on for a bigger fight. "Now or Never" should be the Tag line for the fight if you think about it. Oscar De La Hoya has been throwing the notion as of late for a May rematch against Floyd Mayweather which would take place at 147lbs for Floyd's Welterweight title. Am I the only who doesn't care to see this fight? Dropping down a few pounds to a weight class you haven't fought in in over 5 years just smells like disaster. I really hope they don't think their numbers from last year's lack luster, incredibly over hyped fight will garner the same if not more money. No chance in hell Oscar. I got some names for you Oscar...Paul Williams, Kermit Cintron, Vernon Forrest. 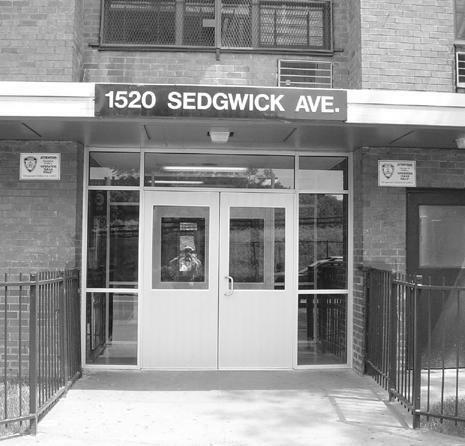 Hip Hop historians regard 1520 Sedgwick Avenue, a housing building, to be the official birthplace of the culture. It was here that DJ Kool Herc held some of his earliest parties, featuring the two turntables and cutting back and forth, prolonging breakbeats dating back to 1973, the official birth year of Hip Hop. The address has remained an affordable housing complex within The Bronx since the '70s, through the Mitchell-Lama Affordable Housing Program in New York. Eleven months ago, residents learned that 1520 Sedgwick was in danger of being removed from said list, forcing many residents to relocate. After some protesting through the Hip Hop community, the proposed new buyer offered to back out of purchasing the property, allowing residents the opportunity to stay or purchase their apartments. In the latest news concerning the property, a press conference will be held today to officially determine the fate of 1520 Sedgwick Avenue. Attendees include Senator Chuck Schumer and Kool Herc. HipHopDX will keep you updated. Cotto vs Gomez / Margarito vs Judah?? Word is spreading that HBO is setting up a double header for April 26th pitting Miguel Cotto against the Contender's Alfonso Gomez. Can someone say...mismatch??? Though Gomez bodied Arturo Gatti last year, Miguel Cotto is coming off a KO win over Zab Judah & a Unanimous Decision victory over future HOF Shane Mosley. This should go into the later rounds with Cotto doin what he does and goin to the body wearing down Gomez late. ...And speaking of Zab Judah, the under card is set to be Antonio Margarito against Brooklyn's Bad Boy (or crybaby?). Realistically this looks like a set up fight for a Summer showdown between Cotto & Margarito that should've happened 2 years ago. Personally I would've liked to have seen maybe Kermit Cintron vs Cotto rather than Gomez. I like Gomez, but he's not ready for Cotto's onslaught. The Margarito vs Zab fight might surprise a lot of people. This is literally a do or die fight for both fighters (especially Zab). And...it's on HBO, not PPV!!! Gotta be happy 'bout that! This is the most creative Mixtape preview I've ever seen. LOL. Torae is on the come up. LOL! This would make an incredible shirt.